Michael is experienced in federal and appellate litigation, having represented clients in federal district and circuit courts in Ohio and around the country. His practice encompasses a range of complex commercial and constitutional litigation matters on behalf of clients ranging from Fortune 200 companies to private individuals. As a member of Taft’s White Collar Criminal Defense group, Michael brings his litigation skills to bear for individuals and multinational corporations under investigation by the U.S. Department of Justice. Michael recently taught appellate advocacy as an adjunct professor at Ohio State University’s Moritz College of Law. Prior to joining Taft in 2015, he spent two years as an associate in Washington, D.C. with a New York-based life sciences and financial services law firm. 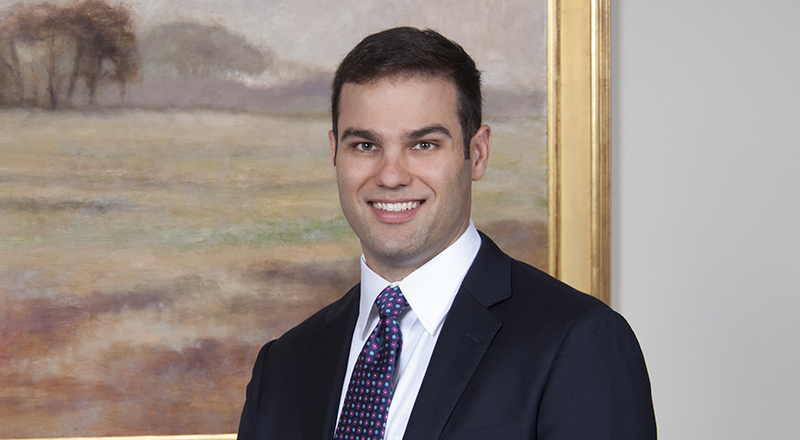 Prior to entering private practice, Michael clerked for the Hon. Stephanie D. Thacker of the U.S. Court of Appeals for the Fourth Circuit and the Hon. Jane J. Boyle of the U.S. District Court for the Northern District of Texas. Before beginning his clerkships, he interned for the Hon. Lawrence M. Baskir for United States Court of Federal Claims and served as a legal fellow for the Biotechnology Industry Organization. Michael earned his J.D. from the University of Virginia School of Law, where he also served as an executive editor of the Virginia Law Review. He received his undergraduate degree from the University of Virginia, where he lettered at wide receiver for the University of Virginia football team. Michael is admitted to the bar in the District of Columbia, Ohio and Virginia. Representation of a municipal energy company against multiple contractors and subcontractors in breach of contract cases involving the development of hydroelectric facilities. Served as a member of the appellate counsel team in a multi-district litigation case involving claims of thousands of individuals exposed to a chemical in their drinking water (“C8”) that has been linked to causing six serious diseases, including two types of cancer, in humans. Representation of an individual on death row in federal habeas appeal challenging the manner in which pretrial publicity injected bias into voir dire proceedings. Representation of a national civil rights organization in the filing of an amicus curiae brief in a successful appellate challenge to the NYPD’s Muslim surveillance program. Representation of state entities in constitutional challenges to the state’s performance of unclaimed property audits. “Understanding Split-Recovery Punitive Damages Statutes,” American Bar Association: Commercial & Business Litigation, Vol. 18, Issue 3 (Spring 2017). “The Government Speaks: FCPA Enforcement is Here to Stay,” with Amy Conway-Hatcher and Evan Elan, Main Justice (Nov. 24, 2013).